J.B.A Records is an independent record label based in Tema, Ghana founded by Jeff Anamoo on September 2nd, 2016. The record label has a well built artiste and repertoire team which scouts for talents who are dedicated and hardworking. J.B.A Records is focused predominately on good music from all genres. The founder and CEO of J.B.A Records has a great deal of ideas when it comes to music and its establishment as a whole and plays a major role in the record label/ company. 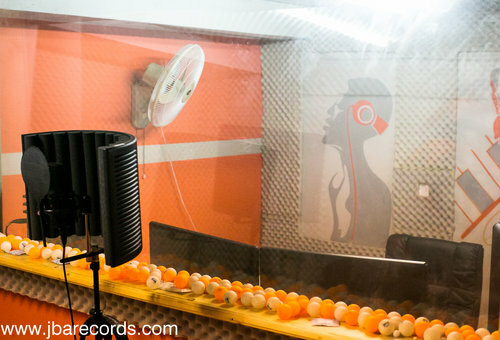 J.B.A Records is located in Tema community 5 behind Sylvia’s catering services off the SOS College road. J.B.A’s mission is to capitalize on the growing entertainment market across the world through the production and promotion of high quality entertainment in addition to the promotion of talents, signed onto the record label for a long term business deal. J.B.A Records is equipped with state of the art sound system which produces quality sounds with a signed producer and sound engineer who record, produce and mix. J.B.A Records provides full time service for all genres of music. Currently, J.B.A records has a signed artiste who goes by the name SONS who signed onto the label since its commencement in September and has since produced an 8-track EP; two singles off of the EP will be released before the end of 2016. SONS’s first single Never drops October 10, 2016; available on ITunes, Apple Music, Spotify, Tidal, Amazon, Google Play etc.